Three women of colour are nominated for this award this year. What a time to be alive! Here are our predictions for best supporting actress at this year’s Academy Awards. Do I even need to explain this? 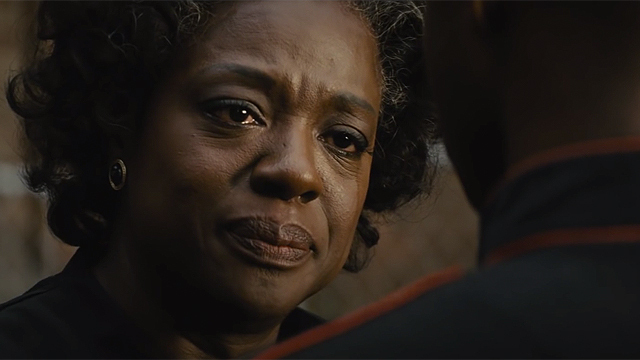 She’s amazing in the role, the scene where she tells Denzel to get out of the house will haunt me for eternity. She deserves the award, she deserves all the awards. I do think she was the Lead Actress of this film but nonetheless where Viola is nominated, Viola should win. Nothing has changed. What an unbelievable performance. The druggie version of Naomie Harris is a shockingly believable one. Unlike Mahershala Ali who’s too nice to be a drug dealer; Naomie is desperate and tenable in her portrayal of a mother who loves her son but is controlled by her vice. Two Words: Viola Davis. There’s only one thing that may be better than Denzel Washington’s direction in Fences, and that’s Viola Davis’ acting. She moves through a range of emotions with such finesse it’s just remarkable. Watching her in this film is a master class in acting on its own, so all you drama students out there better check this one out ASAP. Viola Davis has been on fire since she got the lead role of How To Get Away With Murder. In most cases, it was really unfair how she has steamrolled through Hollywood and has elevated herself in every role. Not to say this is her best work, but this is her swan song. The swan song that will win her an Oscar. A powerful, gripping and a heart breaking performance where you feel like, as a man, I would want a wife like that. I was impressed and I believe she will take this one. My heart melted when they held her hostage as zombie food in 28 Days Later, then I saw her in Pirates of the Caribbean and then as beautiful Money Penny who took that fatal shot sending bond to the depths below in Skyfall. BUT NOTHING could prepare me for the haunting tale of this homosexual young man’s clashes with his mother who ultimately ruins his chances of a normal adolescence. Naomie is my favourite and most deserving because nothing was as raw and involved – just great!!! Just to give mention to Nicole Kidman – she was amazing in Lion, if there was no Naomie there would’ve been Nicole. What is your prediction for Best supporting actress?